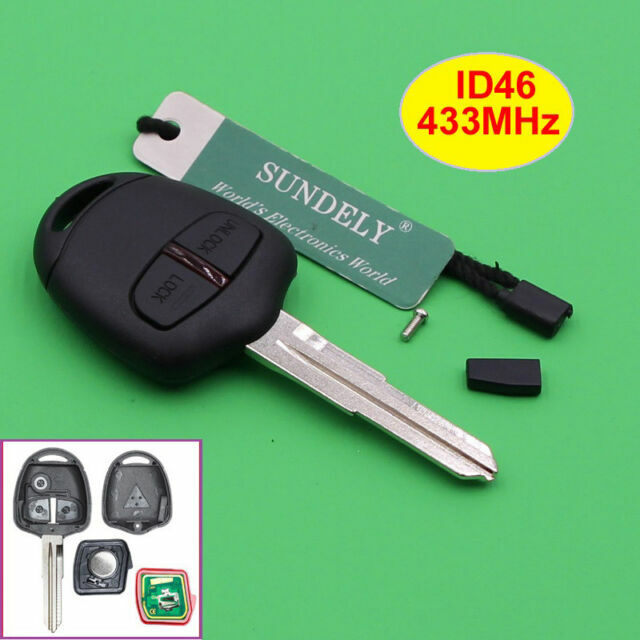 2 Button Remote Key Fob 433MHz ID46 For Mitsubishi L200 Shogun Pajero Montero. -Transponder Chip: ID46. -Frequency: 433MHz. With the CR battery, Chip ,circuit board and uncut blade. 1 x Key Remote Case.